Traveling anywhere these days is stressful enough, especially to places you've never been before. At Commonwealth Worldwide, we're in the peace of mind business. Here's how we use the latest technology to ease your travels with us. It starts the day before your trip. 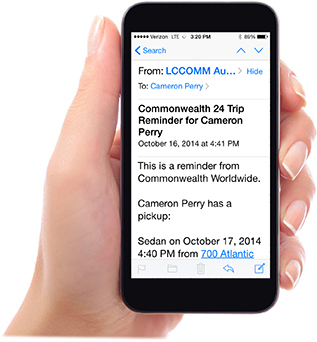 CWW24 is an automatic email reminder sent 24 hours in advance of the scheduled pickup time to remind our clients of their upcoming reservation with us. This helps to control costs by prompting passengers and/or travel coordinators to cancel unneeded reservations well in advance of the trip to avoid unnecessary charges. Just before your pickup, we use our Chauffeur Direct system to send a message containing Meeting Procedures and the name and cell phone number of the chauffeur to our passengers and their travel coordinators 15-45 minutes prior to the scheduled pickup time. We'll also send the driver's photo wherever available, so you'll be able to recognize him or her in crowded areas. Not sure where your chauffeur is? The same Chauffeur Direct email you just received has a handy, live GPS tracking link showing exactly where your vehicle is located! GPS tracking and driver photos are available in most major markets we serve. Click below for the lastest list. 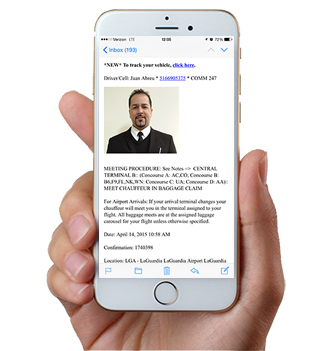 Each of our airport greeter staff is assigned a tablet that allows them to receive real time reservation booking information and display bright and clear messages to greet our clients. Our chauffeurs are paperless! 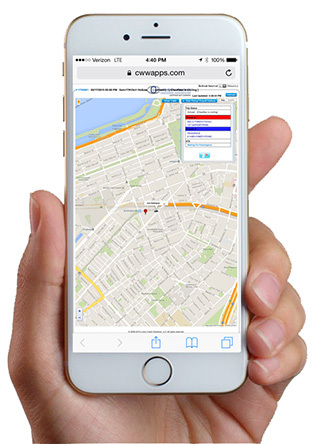 Their tablet receives their detailed trip information; automatically communicates with Dispatch with a press of a button; plans their routes integrated with Google Maps; utilizes GPS navigation features; provides bright and clear signage and completes all of their paper work electronically. That leaves them free to make sure you are delighted with our service!